Candice Adewole is a femininity educator, certified life coach, and beauty professional originally from Cleveland, Ohio. Currently residing in sunny Florida, Candice has studied femininity and masculinity for over 10 years. It has become a passion of hers to help women to tap into the power of their feminine essence, in order to attract deeper, more intimate relationships with men, foster genuine sisterhood with other women, and have more overall confidence as a woman. Candice's journey to being blissfully feminine has been an interesting one, and she has studied with a variety of people she considers mentors over the many years, including author of Man Leads book, Ro Elori Cutno, from whom she learned the Japanese Tea ceremony (and teaches a modified form of it in the Modern Day Geisha program),after contacting the author, negotiating compensation for the author's time to learn the tea ceremony, and meeting with her in Atlanta, Georgia back in October of 2014. Together, the two started The Institute of Feminine Grace that fall, and travelled across the United States hosting femininity retreats in 2015, and parted ways early 2016. 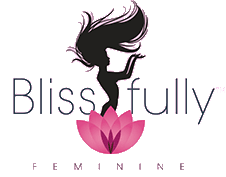 Candice continued her journey as a femininity educator and life coach, and thus Blissfully Feminine was born, to bridge the gaps and teach authentic femininity. Realizing that if a woman doesn't understand what true authentic femininity and feminine grace is, there is no way she can attract a healthy man to marry, create excellence in her family, or truly enjoy her life as a woman. Most recently, Candice travelled to Denver, Colorado, to take The Art of Feminine Presence teacher training course, taught by Rachel Jayne Groover, author of Powerful and Feminine. The 22 life changing practices she learned has been incorporated into several of the core programs taught by Blissfully Feminine. Candice absolutely loves teaching women to enjoy being a feminine woman. She is a traditional woman, with traditional family values, and her overall goal in life is to add value to the lives of others, and make them feel beautiful. She hopes to meet you at a workshop very soon!